The winning name and design/s will win an iPad, donated by DentaVision, and have their artwork showcased on the van. Other minor prizes will also be awarded. The second prize winner will receive an electric toothbrush, courtesy of DentaVision. Oral hygiene packs will be awarded as minor prizes. Rather than cover the mobile dental van with corporate logos, this is an opportunity to partner with the community and create a fun, vibrant and creative reminder to take care of your oral health. Please call Michelle on (03) 5832 3480 with any questions about the competition. 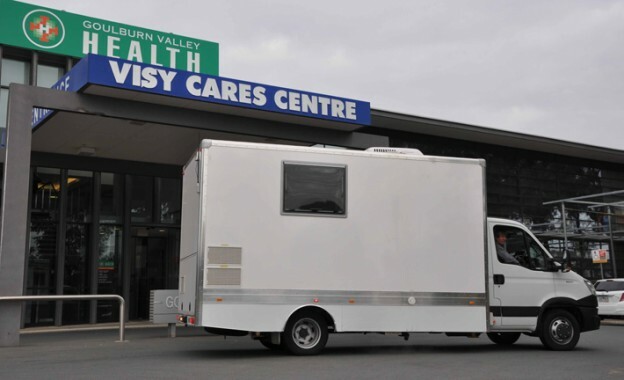 Judging will take place Thursday, 30 July 2015 at GV Health, Graham St, Shepparton. The winning name and art will be selected on merit by the GV Health dental services team from the submitted entries. The winner will be announced Monday, 3 August 2015. The winner/s will be contacted directly, immediately after the judging takes place, and will be announced in the August issue of GV Health Matters in the Shepparton News. This entry was posted in News on July 13, 2015 by Brad Faulkner.